Last Monday, Rumaan Alam of the New York Times Book Review and author of That Kind of Mother discussed the path to publication for his acclaimed second novel (after Rich and Pretty) with his agent Julie Barer of The Book Group; his editor Megan Lynch of Ecco Books; and APS editor, Brigid Hughes, in an evening presented in partnership with the Authors Guild and Stories Bookshop + Storytelling Lab. Great takeaways we spotted on social media: “You have to write the book and then you have to listen to smart people," noted Anne Korkeakivi, and "I don't think that accessibility is at odds with literary accomplishment," tweeted Barbara Ann Rogers. And on Thursday, Idra Novey launched her timely and widely praised new novel, Those Who Knew, with a little help from her friends, fellow authors Alex Mar, Monique Truong, Michael Seidlinger, and Sunil Yapa, at APS, in a family-friendly evening of vaudeville and celebration that we presented in partnership with Community Bookstore. We spent Saturday at the inspiring Well-Read Black Girl Festival at Pioneer Works where APS was a Community Partner, alongside New York Public Library, the Center for Fiction, and more, promoting our APS No. 23 issue that featured a story by Kathleen Collins, meeting subscribers and readers, catching up with Belletrist co-founder Karah Preiss, getting a preview of Bridgett M. Davis's The World According to Fannie Davis: My Mother's Life in the Detroit Numbers, and Barry Jenkins's new adaptation of If Beale Street Could Talk with actress Ebony Obsidian, and more. You've asked us for online programming, and tomorrow we'll try out our first event, courtesy of Bookstr, which will host a Facebook Live interview with APS founding editor Brigid Hughes at 1:30 p.m. EST, before she receives CLMP's Golden Colophon Award for Paradigm Independent Literary Publishing tomorrow night. She'll discuss the making of APS No. 27, out this month; this year's Whiting Foundation Literary Magazine Prize win; and more, all live and online. Tune in with your questions for a literary magazine editor. 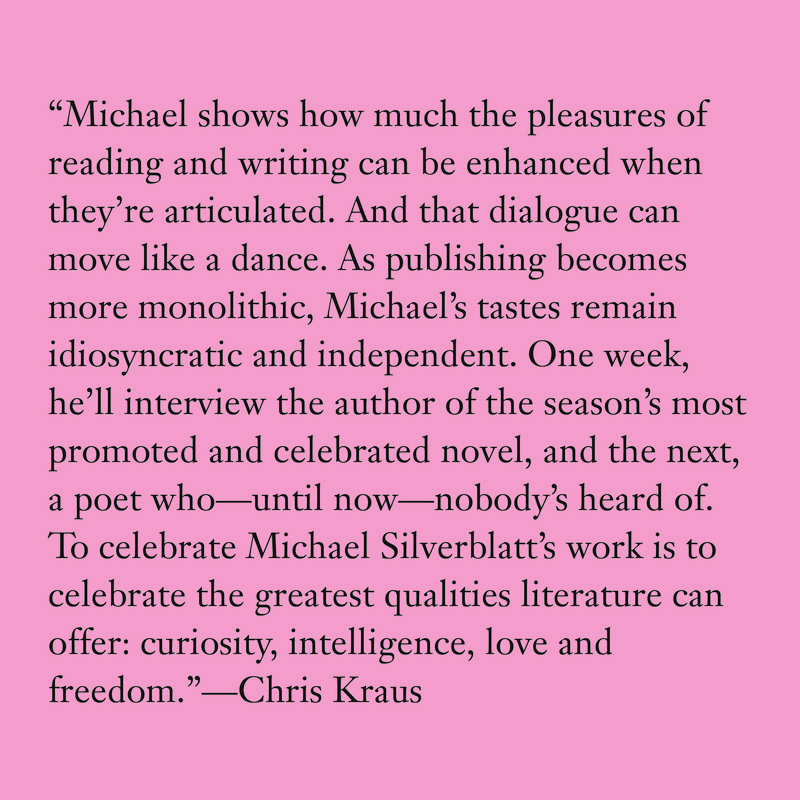 We're counting the days until our first-ever benefit party, on December 6 in New York City, when we'll award the inaugural Deborah Pease Prize for advancing the art of literature to Michael Silverblatt, host of KCRW's Bookworm, the #1 books podcast according to the Washington Post. Tickets and more. And one last quote via Twitter, and N. Nasim Homer, who attended Alexander Chee's recent master class at APS Academy: "'Plot is character. It's born out of a character's blindspot. Will they see who they are? Will the character have the realization or will the reader?' Solid advice." Next up: Parul Sehgal on December 1, and a few spaces remain.